Be the Spark presents $5000.00 to Islip Arts Council for a fireworks display to honor our Veterans. 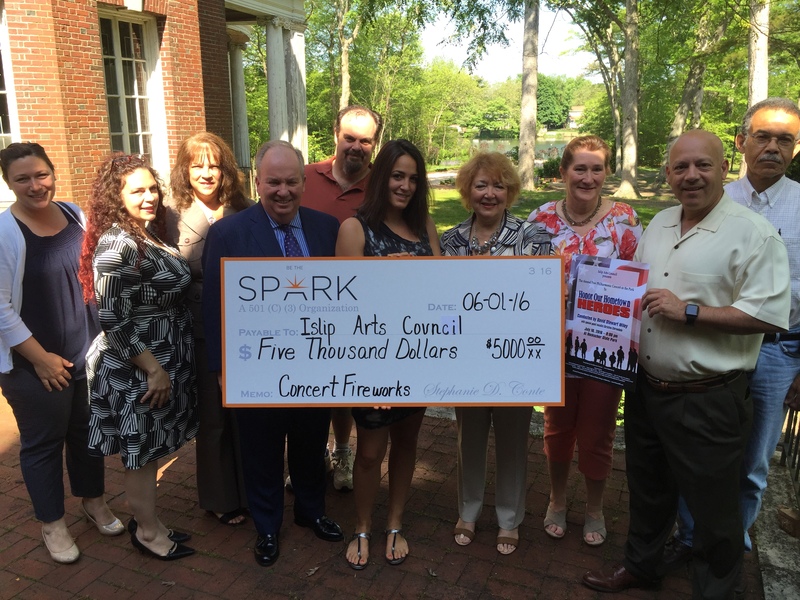 Be the Spark presents this $5,000.00 check to Islip Arts Council to sponsor the Grucci firework display at the free philharmonic concert in the park on July 16th 2016 at Heckshire State park. This is done in honor of our Veterans. Please keep a look out for the invitation on our upcoming events page, we look forward to seeing you there! Tailynn on Be the Spark new website!